For many Indonesians the rupiah at a two-decade low brings back memories of the Asian Financial Crisis in the late 1990s. It was a traumatic experience as the crisis evolved from a financial crisis into a social and political crisis. And although Indonesia's economy (and specifically the country's banking industry) as well as its political situation are in a much better conditions now (actually they are in healthy shapes now, unlike the situation in the 1990s), the weakening rupiah makes many policymakers, businessmen and the ordinary "man on the street" in Indonesia concerned. Local importers and exporters in Indonesia are reportedly chasing US dollars in anticipation of further rupiah weakening and this puts additional pressures on the Indonesian currency. Bank Indonesia, the central bank of Indonesia, confirmed that it intervened heavily again on Monday (04/09) in both the foreign exchange and bond markets while foreign investors continue to sell Indonesian assets ahead of (expected) rising interest rates in the USA later this month as well as fears of contagion from crises in Turkey and Argentina. Earlier, Bank Indonesia had already raised its benchmark interest rate by a combined 125 basis points from 4.25 percent to 5.50 percent (in four rate hikes over the past 3.5 months). 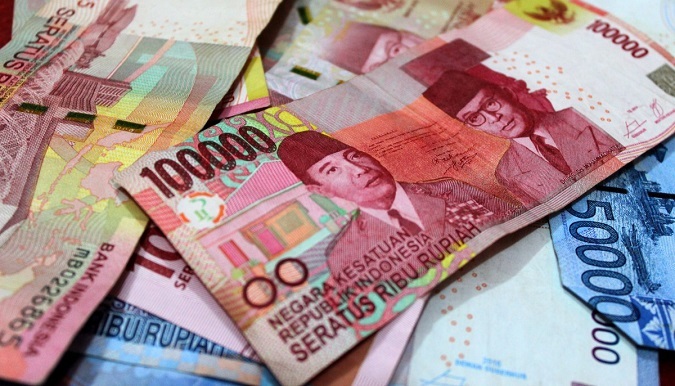 It has also used a significant amount of foreign exchange reserves to defend the rupiah. Therefore, Indonesia's foreign exchange reserves fell from USD $132.0 billion in January 2018 to USD $118.3 billion in July 2018 (part was also used to settle foreign debt). Other tools that were unveiled by Bank Indonesia were foreign-exchange swap hedging instruments in 3-month, 6-month and 9-month tenors, and the new overnight interbank benchmark rate (IndONIA). Meanwhile, Bank Indonesia increased the frequency of foreign-exchange swap auctions from July in an effort to boost liquidity in Indonesia's domestic banking system, while also taking steps to lower hedging costs with the volume of rupiah injected into the market surging almost 13-fold in about a month. So far this year emerging markets have been under heavy pressure with emerging market bonds and currencies posting steep losses as the US Federal Reserve has been raising its benchmark interest rate, while there remain simmering trade tensions. The most recent bout of weakness was triggered by Turkey's political and economic turmoil. For a detailed analysis of the rupiah performance (and our outlook to the foreseeable future), we refer you to Indonesia Investments' latest research report.